167 Creedmoor Way, Anniston, AL 36205. 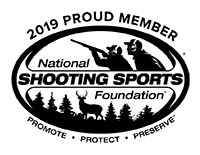 You may not create a link to this website from another website or document without Creedmoor Sports' prior written consent. Your use of this website and any dispute arising out of such use of the website is subject to the laws of California/Alabama. By submitting your email to the website, you are agreeing that you may receive periodic emails from us and that you may opt out at any time. Any information collected from orders are used only for our purposes and will never be sold to a third party.